The Fuji Electric FRENIC-Mini Inverter provides outstanding performance for both single-phase and three-phase applications. 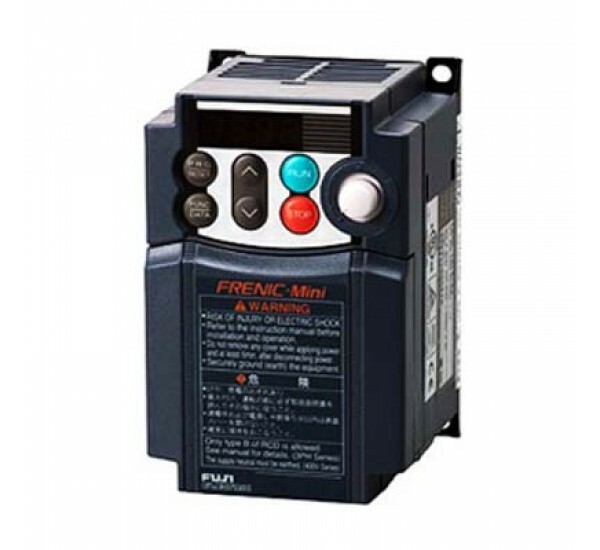 Available in multiple configurations to support 1/8 HP up to 5 HP AC drives, variable frequency drives (VFD) and v/ Hz vector drives, the FRENIC-Mini is a compact unit that combines simple operation with industry-leading performance. As conveyors and similar equipment become more powerful and as users demand increased energy savings from fans, pumps, etc., the need has developed for compact, economical, general-purpose inverters with higher performance and diverse functions. The Fuji Electric FRENIC-Mini Inverter with its consideration of peripheral devices, protective functions, and conformity to international standards was born to meet this need. The FRENIC-Mini features a full range of functions to meet the needs for higher performance in machines and equipment such as conveyors, fans, pumps, centrifugal separators and food processing machines, as well as the needs for system integration, energy saving, labor saving, and total cost reduction.